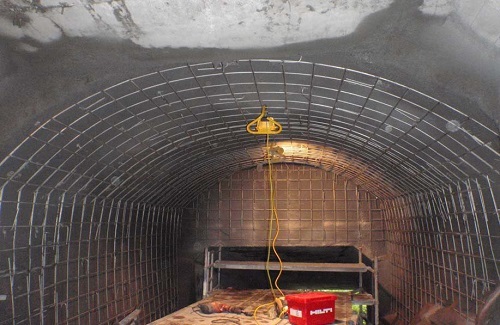 The strengthening works comprised stainless steel structural reinforcement and a 150mm-thick sprayed concrete lining to an existing section of stone lined culvert which carries a watercourse under the A82 trunk road, discharging into Loch Ness. 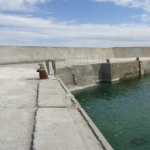 BAM Ritchies was requested by the client to attend a joint inspection to confirm feasibility of the project and then assisted the client with a detailed design prior to being invited to competitively tender for the works, which were subsequently secured. The works also involved the evacuation of an existing bat colony which was roosting in a large crack within the masonry section which was to be lined. BAM Ritchies provided access and assisted the bat specialist in fixing a bat exclusion device. A time period was then imposed prior to a further inspection to confirm that the bat colony had evacuated the crack. means of high pressure water jetting. Stainless steel reinforcement was then fixed prior to the application of the accelerated sprayed concrete. 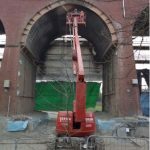 The works were subsequently the subject of an environmental audit carried out by Halcrow, in conjunction with Pricewaterhouse Coopers, URL and TRL. The site was found to be in good order with minimal impact on the surrounding environment.